“Salute” marks the third promotional single from the British group’s sophomore album, “Salute,” out now via Syco Music / Columbia Records. The track was written by group members Perrie Edwards, Jesy Nelson, Leigh-Anne Pinnock and Jade Thirlwall along with Maegan Cottone, Thomas “Froe” Barnes, Ben Kohn, and Peter “Merf” Kelleher. As previously reported, Little Mix are currently working on their upcoming third studio album, which is expected to be released later this year. Watch the music video for “Salute” below. British singer/songwriter Becky Hill has recently recorded new material with TMS. The songwriting and production team is composed of members Thomas “Froe” Barnes, Peter “Merf” Keller and Ben Kohn. Some of their recent credits include “Salute” by Little Mix [Columbia Records], “Recovery” by James Arthur [Syco Music], “My Best” by Rebecca Ferguson [RCA Records] and “Last Night” by The Vamps [Virgin EMI Records]. They have also contributed to the next albums by MNEK [Virgin EMI Records], Ella Henderson [Syco Music], Madison Beer [Island Records], Bridgit Mendler [Hollywood Records] and Mutya Keisha Siobhan [Polydor Records]. Meanwhile, the upcoming as-yet-untitled debut album by Becky Hill is expected to be released later this year via Warner Music Group / Parlophone Records. Watch the music video for Rudimental’s “Powerless” – which features vocals from Becky Hill – below. The track is now available for download via iTunes. Little Mix have confirmed the title of their new single. The British group – consisting of members Perrie Edwards, Jesy Nelson, Leigh-Anne Pinnock and Jade Thirlwall – have christened “Salute” as the next single from their latest sophomore album of the same name. Other notable credits by TMS include James Arthur’s “Recovery” [Syco Music], Madison Beer’s “Melodies” [Island Records], Rebecca Ferguson’s “My Best” [RCA Records] and Jessie J’s “Square One” [Republic Records]. “Salute” follows previous singles “Move” and “Little Me,” which have charted at number three and fourteen on the Official UK Singles Chart. Watch the music video for “Word Up!” below. The Sport Relief charity track is now available for download via iTunes and all other digital outlets. 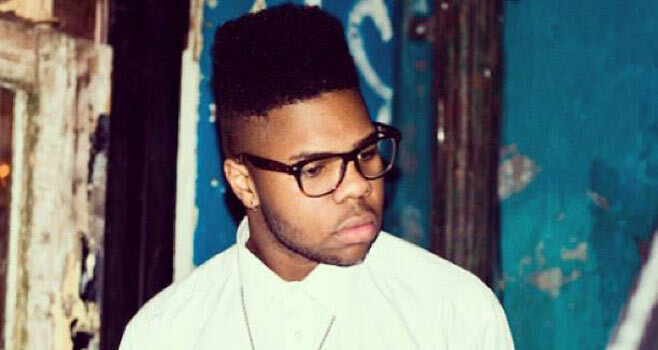 MNEK has recently collaborated with Major Lazer’s frontman Diplo. It is yet to be known whether their collaborative results will appear on MNEK’s upcoming debut album with Universal Music Group / Virgin EMI Records. Diplo – born Thomas Wesley Pentz – is known for collaborating with Usher [RCA Records], Beyonce Knowles [Columbia Records], Alex Clare [Island Records], Bruno Mars [Atlantic Records] and Tamar Braxton [Epic Records]. Some of his recent productions include “Passenger” by Britney Spears [RCA Records], “Elastic Heart” by Sia f/ The Weeknd [Republic Records] and “Trampoline” by Tinie Tempah f/ 2 Chainz [Parlophone Records]. Meanwhile, MNEK has confirmed songwriting and production placements on the next albums by Clean Bandit [Warner Bros. Records], Kylie Minogue [Parlophone Records] and Tanika Bailey [Virgin EMI Records]. His highly-anticipated LP is expected to boast further alliances with Marsha Ambrosius (Daley, Alicia Keys), Jean Baptiste Kouame (Rihanna, Chris Brown) and TMS: Ben Kohn, Peter Kelleher & Thomas Barnes (Little Mix, Emeli Sande). Watch the music video Gorgon City’s latest single “Ready for Your Love” – which features vocals from MNEK – below. The track is now available for download via iTunes and all other digital outlets. The British singer/songwriter dubbed “Let the Drums Roll” as the lead single from her upcoming debut album, out later this year via Syco Music. The track was co-written by Camille Purcell, whose credits include “Hero” by Jessie J [Republic Records], “Mr. Right” by Leona Lewis [Syco Music] and “Nothing Feels Like You” by Little Mix [Columbia Records]. Production duties were handled by Thomas “Froe” Barnes, Ben Kohn and Peter “Merf” Kelleher of TMS, who are also responsible for hit singles “Recovery” by James Arthur [Syco Music] and “Melodies” by Madison Beer [Island Records]. Other producers backing Henderson on the still-untitled LP are Kenneth “Babyface” Edmonds (Colbie Caillat, Ariana Grande), Richard Stannard (Paloma Faith, Ellie Goulding) and Francis “Eg” White (Adele, Celine Dion). On the songwriting front, Henderson has enlisted Diane Warren (Brandy, Enrique Iglesias), Emeli Sande (Rihanna, Katy Perry), Claude Kelly (Olly Murs, James Blunt) and Iain James (Craig David, Nicola Roberts). Watch the music video for Ella Henderson’s “Five Tattoos” below. MNEK has hinted at a new collaboration with TMS. The British artist – born Uzoechi Emenike – is scheduled to release his upcoming debut album later this year via Universal Music Group / Virgin EMI Records. TMS – which of consists of members Ben Kohn, Thomas “Froe” Barnes, and Peter “Merf” Kelleher – are known for collaborating with Emeli Sande [Capitol Records], Rebecca Ferguson [Syco Music] and Olly Murs [Epic Records]. Some of their recent songwriting and production credits include “Square One” by Jessie J [Republic Records], “Little Me” by Little Mix [Columbia Records] and “Melodies” by Madison Beer [Island Def Jam Recordings]. In addition TMS, the “Ready for Your Love” singer also hit the studio with Jean Baptiste Kouame (Madonna, Britney Spears), Marsha Ambrosius (LeToya Luckett, Alicia Keys), and Rudimental (John Newman, Ella Eyre). Fans of his production work should keep an eye on the next LPs by Kylie Minogue [Parlophone Records], Mutya Keisha Siobhan [Polydor Records], Kwabs [Atlantic Records] and Javeon [PMR Records]. Watch the music video for Rudimental’s “Spoons” – which features vocals from MNEK & Syron – below. The track is taken from electronic group’s debut album, “Home,” which debuted at number one on the UK Albums Chart.